The Magic Kingdom is currently one of the larger parks at Walt Disney World so we decided to take two days there to make sure we experienced everything. We still didn't get to experience everything. Since we were there during Christmas, Magic Kingdom closes early on certain days to those who do not have tickets to Mickey's Very Merry Christmas Party. This day was one of those days so, we didn't get to do as much as you can on a normal hours day. Michael's favorite ride the whole entire trip was the tram in the parking lots. 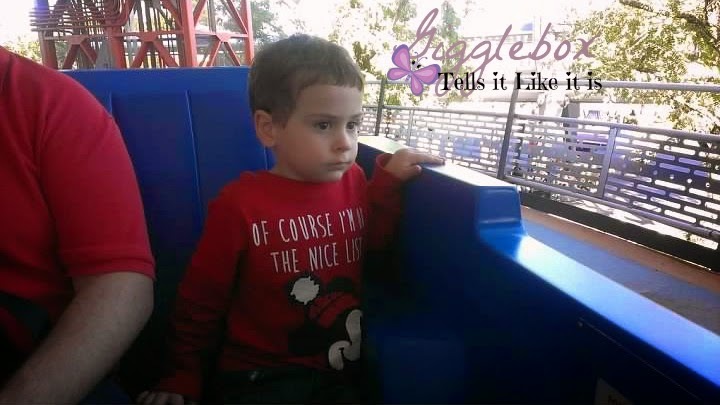 At Magic Kingdom after riding the tram, you'll need to ride either the monorail or a fairy boat to get over to the park. This day we decided to take the monorail. 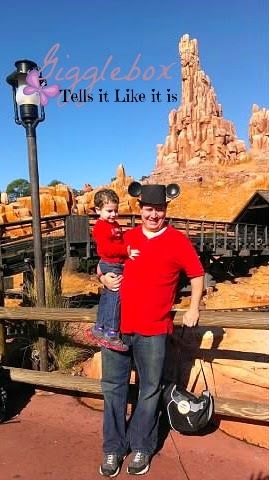 Once we got into the park, Michael had to ride the Walt Disney World Railroad and rode the train to the Frontierland stop since we had a Fast Pass setup for a ride in that area. 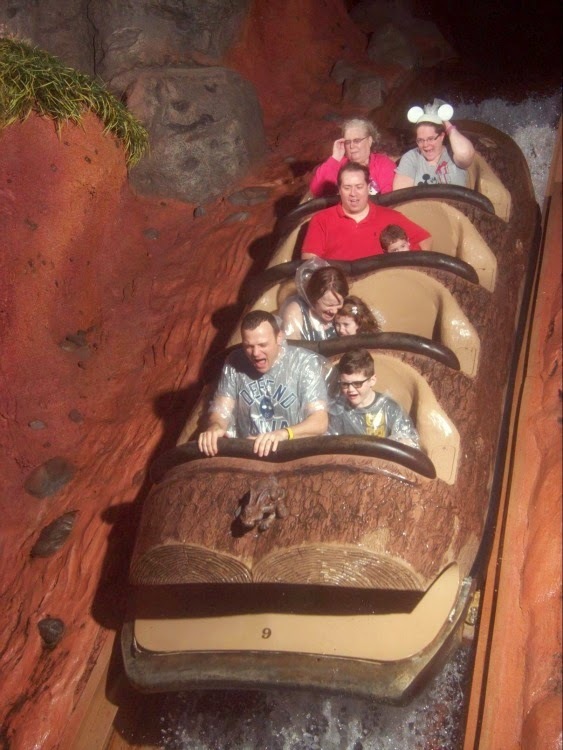 photo from our ride on Splash Mountain. Our first ride of the day was Splash Mountain. Michael loved it, but was not looking forward to getting wet. Mommy was the one that got wet. Everyone else in our family was pretty dry. 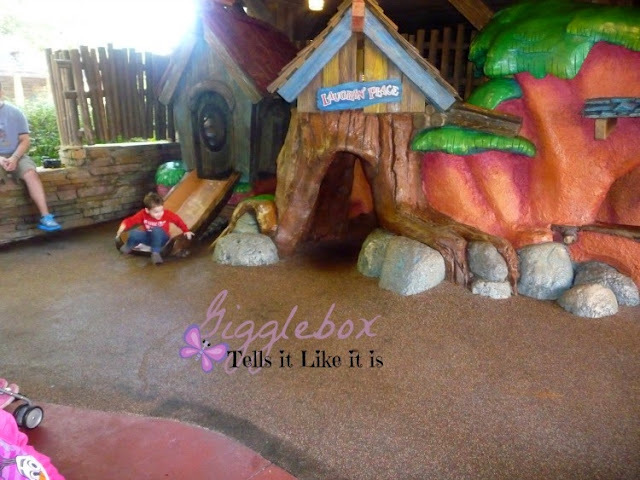 While we waited for our next Fast Pass, we let Michael play in the toddler play area at Splash Mountain. A nice place for the little ones to get their energy out and for the adults to rest their feet. 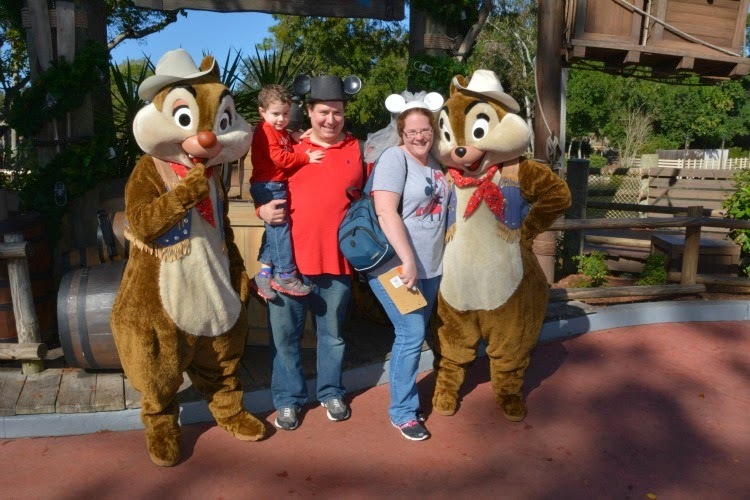 Our next Fast Pass was for Big Thunder Mountain Railroad. Another ride that Michael loved. Yep, we've got another thrill seeker in our family! taken by a Disney photographer. While we were walking around Frontierland, we ran into Chip and Dale. 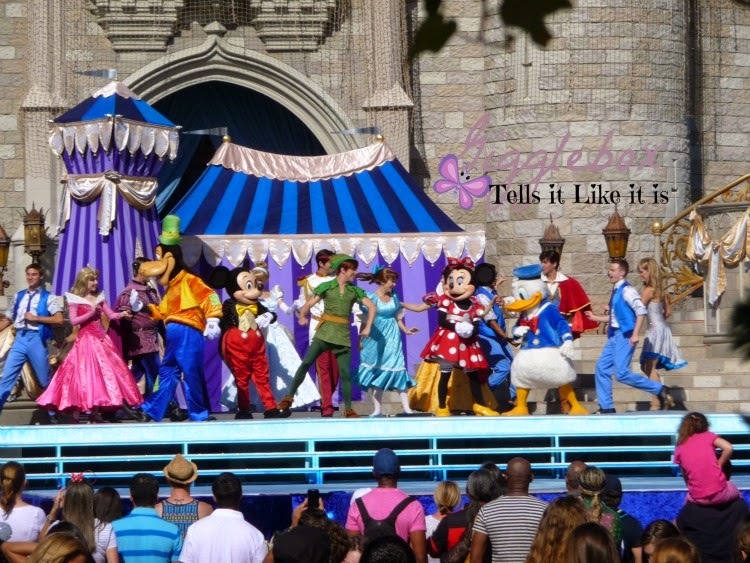 Be sure that you don't have anything scheduled because the lines for meeting the characters can be rather long. They also take several breaks so, keep this in mind when you run across or go to one of the character meetups. Michael loves pirates and we had actually watched the very first Pirates of the Caribbean movie with him before our trip. We had sometime before our lunch reservation so we headed over to the Pirates of the Caribbean ride. If your little ones or even big ones love pirates, you can make reservations to join The Pirates League. I love how Disney tries to make even the fence to cover construction something fun for the guests. 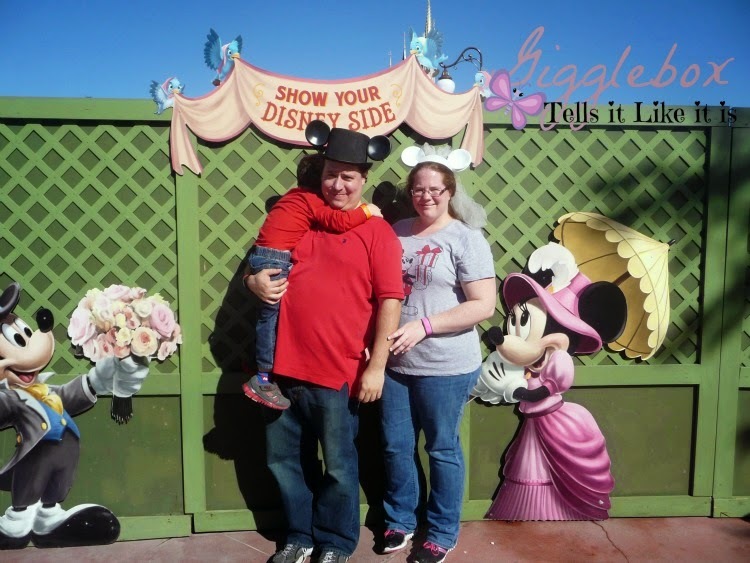 They had all over the fences different Disney Side photo spots. This was in front of the Crystal Palace which was were our lunch reservation was. 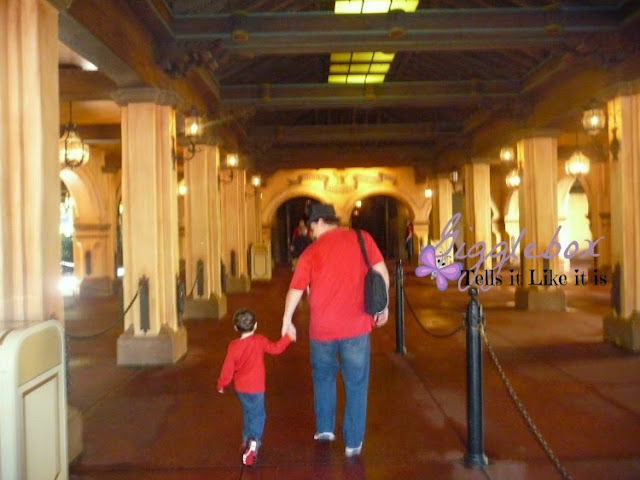 To learn more about our lunch reservation, you can read my post Character Meal at the Crystal Palace. We had watched some of the Dream-Along With Mickey show while we were waiting for our table at the Crystal Palace. After lunch, the show was going on again. 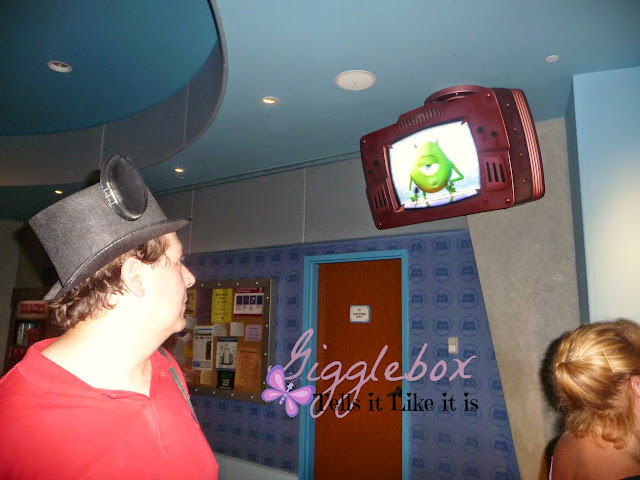 Michael wanted to stop and watch it before heading over to Tomorrowland. 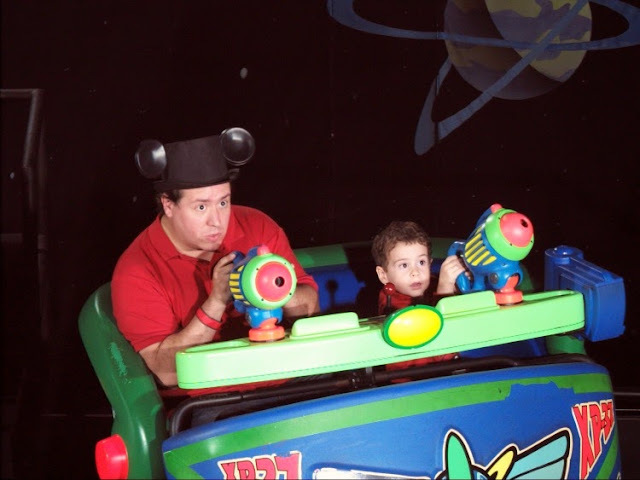 photo from Jon and Michael's ride on Buzz Lightyear's Space Ranger Spin. 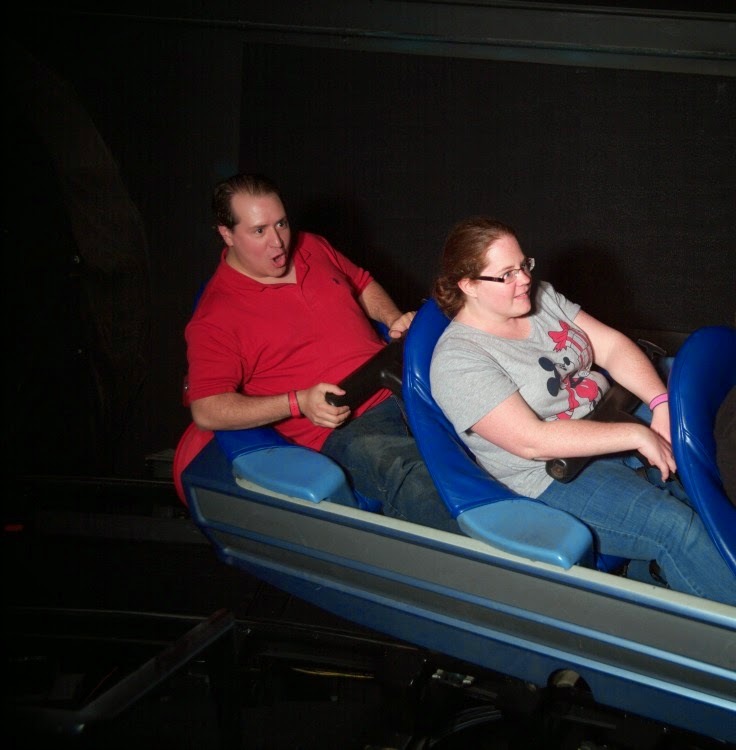 We then headed over to Tomorrowland and rode Buzz Lightyear's Space Ranger Spin. When my brother and I were younger, we loved this ride. Actually rode it over and over while our mom watched a live show nearby. Not surprisingly, Michael loved this ride and rode it again with my mom while Jon and I rode Space Mountain. photo from our ride on Space Mountain. Before Jon and I got in line for Space Mountain, we went into the arcade next door. We found a photo booth that worked with Memory Maker (to learn more about Memory Maker, read my post Memory Maker, is it worth it?) and decided to take silly pictures. 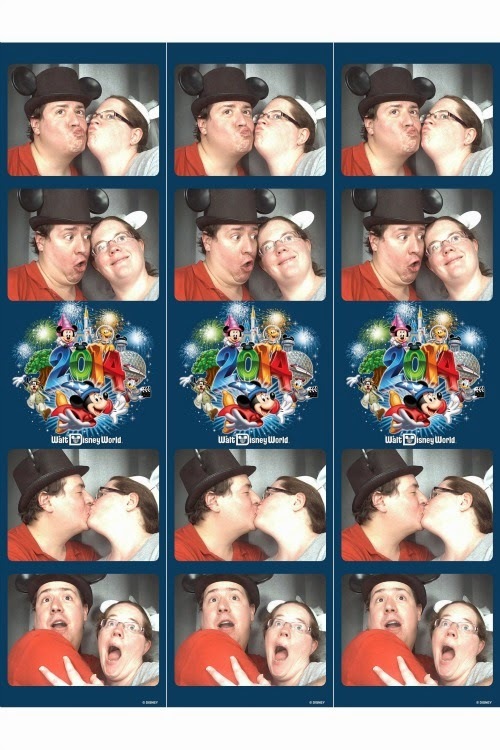 Yep, when you're at Walt Disney World you can still act like a little kid. We met back up and rode the Tomorrowland Transit Authority PeopleMover. A great little ride if you need to just relax. 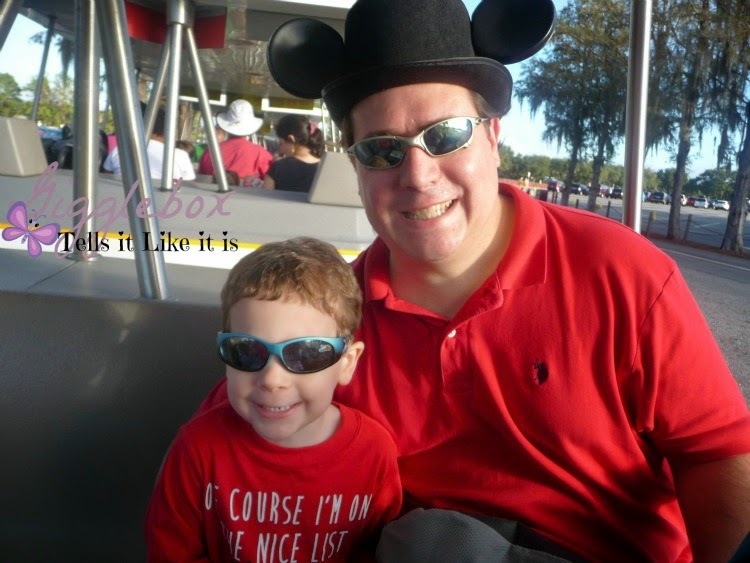 Jon and Michael also rode the Astro Orbiter ride while Mom went and bought part of Michael's Christmas gift and I decided to just rest. 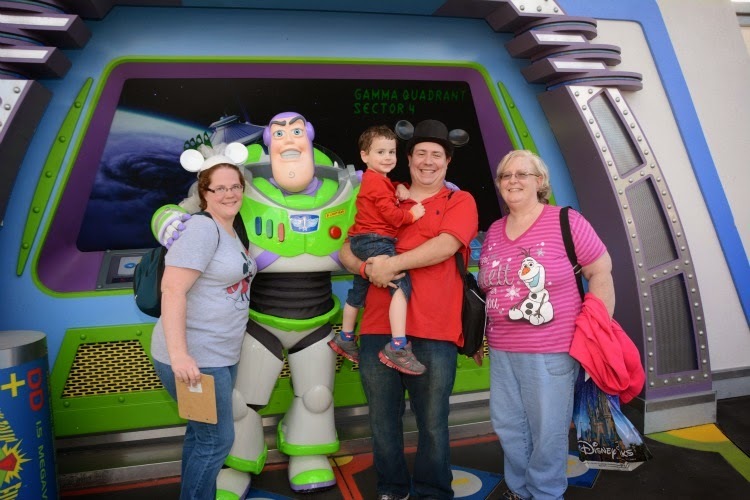 We got to meet Buzz Lightyear in Tomorrowland. Michael was so excited to meet Buzz. Look at that smile on his face! Michael loves the Monsters movies so we went and participated in the Monsters, Inc. Laugh Floor. We were surprised that Michael actually sat still for the whole show. Need some laughs, this is definitely the show to see. 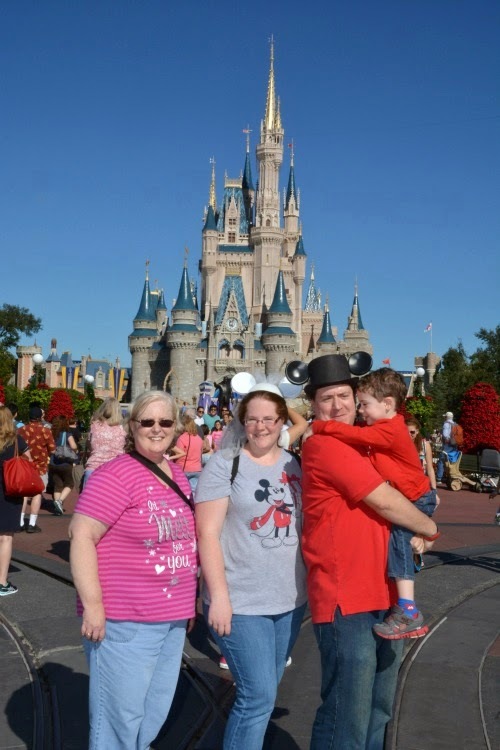 Before heading out, we had to get our picture taken with Cinderella's castle in the background. We ended up heading back to our resort in hopes to have Michael take a short nap and then possibly head back to Epcot. It took so long to get Michael to take a nap and then he ended up sleeping longer than we had hoped. We ended up just exploring our resort. The boys ended up playing in the arcade while Mom and I looked at the gift shop. Needless to say, the rest of the trip we didn't bother with having Michael take a nap. 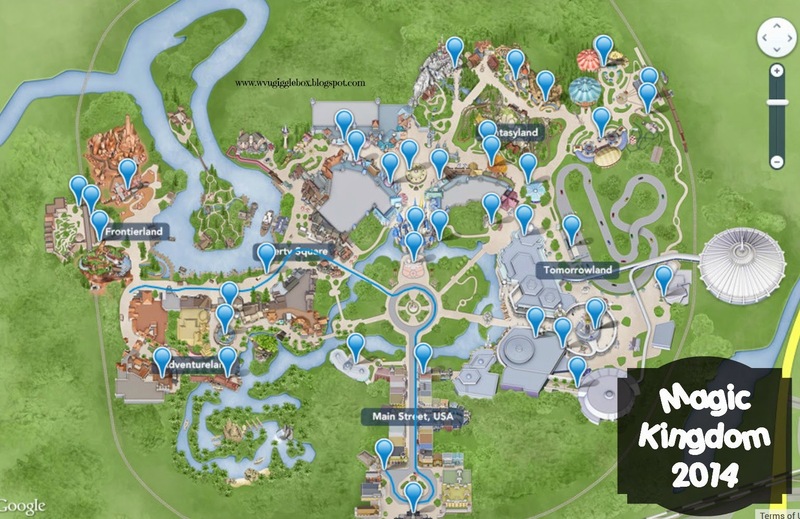 If you look at the Magic Kingdom map (click here), you'll see that we still had half of the park left to see. How many days do you normally spend at Magic Kingdom? 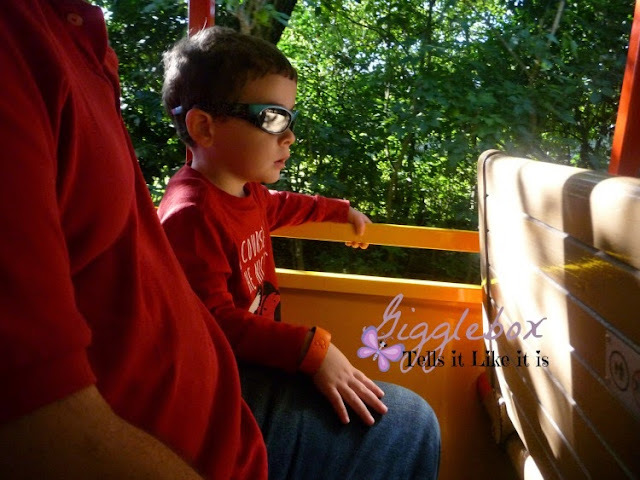 This is the best park out of the four for families with little ones. It seems to be geared more towards the kids and families as a whole.